DETAILS - This set of handmade candles will be an interesting detail of your house interior. Place coinciding accents in the interior to decorate a room in a stylish way. 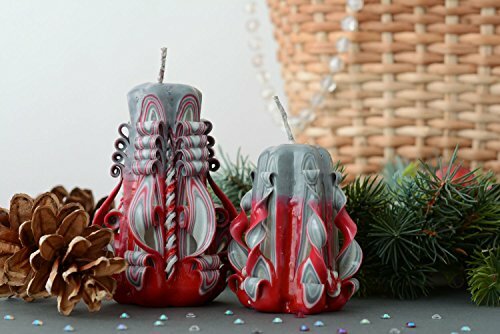 Two carved candles are made of paraffin and stearing with addition of the colorant. Combination of red and gray colors looks very elegant. These designer candles will fit both classic and modern interior.